Have you thought about how many residents in Utah are requesting for BBQ grill cleaning services every year? Plenty! That’s why The BBQ Cleaner finds it challenging to bring our services to every single household due to the lack of manpower. If you are someone who is eager to earn from an already established business, look no further than this BBQ cleaning business opportunity in Utah. Just to clarify, we are not selling a franchise and you do not need to pay any royalty fees. Other reasons why you should start your company with our proven business model includes low start up cost and minimal experience needed in the grill cleaning industry. When you work with us, we will provide all the training you need. We will send you a comprehensive business guide that you can refer to anytime and anywhere. You will have all the information you need to start your business on the right foot. Why Start a BBQ Cleaning Business in Utah? Superb Weather: Summers in Utah are generally hot and you can be sure that families are spending most of their time grilling outdoors. This translates to constant demand of your grill cleaning services. Large Customer Base: Many homes in Utah have their own grills that they can use whenever they want. It will be easier for you to grow your business by making money from these potential customers. Grow Your Business with Ease: Hire staff and add vehicles to your fleet once you have a feel of how the BBQ and grill cleaning business grows in the area. How Does The BBQ Cleaner Help You Get Started in Utah? Our company was founded in 2009 and we have already reached out to a wide range of communities. Today, we have built a network of over 180 operators nationwide. We are recognized as a global leader in the BBQ and grill cleaning industry and you can rest assured that there is no one better than us when it comes to unleashing unlimited earning potential for your grill cleaning services. As your business grows, you can be sure that you will get all the help you need from The BBQ Cleaner, through our on-going lifetime business support. 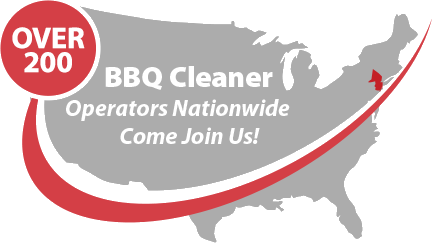 Talk to us today to find out more about this stellar BBQ cleaning business opportunity in Utah!